CALGARY – NewLeaf Cannabis, an Alberta-owned company of Calgary-based operators, announced their submission of 22 retail cannabis store license applications for locations across Alberta; including Calgary, Edmonton, Red Deer, St. Albert, Airdrie, Lethbridge and Medicine Hat. NewLeaf Cannabis' name speaks to 'turning over a new leaf', and changing negative attitudes towards cannabis and its retailers with services focused on education and appropriate-fit product recommendations. NewLeaf's CAO Angus Taylor believes their educational approach and commitment to safety, proactive communication and community engagement will position their convenient, suburban-focused locations for success. "The future is friendly for those committed to responsible cannabis retail store management," says Angus Taylor. 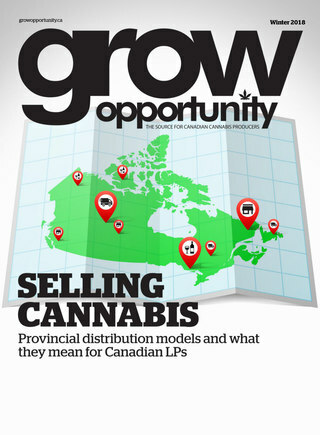 "Legal cannabis has the potential to help a lot of people, and we're committed to ushering a new, more accurate narrative into the mainstream; leading by example with products and business practices that are beyond reproach; operating in the open, where responsible Albertans can include purchasing cannabis as part of their regular shopping routine". Quality trumps quantity when it comes to NewLeaf's location selections. However, Angus Taylor does acknowledge that they will be submitting additional location applications in the coming weeks. Angus explains, "We have been engaging landlords and signing leases since last summer, and there are more coming every day it seems! We're just Albertans that see an opportunity to create strong cannabis businesses here in our Province. We hope to employ over 200 staff by the end of summer!" In the meantime, two proposed NewLeaf locations have begun construction to provide complete proof-of-concept stores for review, by both the interested public and approving authorities, before the end of April. NewLeaf Cannabis is committed to being stewards of authentic relationships through diligent education and contribution to the communities they serve, and welcomes anyone that has questions about their approach to contact them directly.